The Tumen River forms the natural border between North Korea, China and Russia. Even though that swampy, sparsely populated area on either side of the river is a rather unlikely place for a site of regional integration, some remarkable developments can be observed over the years. But first, what makes this area so interesting? Actors from all surrounding countries have been highlighting the immense potential of regional cooperation since 1991. This includes economic interests, which centre mostly around the advantages of creating a functioning transport link – between Japan and South Korea on one side and Northeast China, Russia and Mongolia (and via railway ultimately Europe) on the other – and also around the vast natural resource reserves in Mongolia, Russia, China and North Korea. Ice-free ports are also a matter of special interest, as Northeast China lacks access to the coastline by a mere 12 kilometers and functioning links by train, ship, and roads would significantly lower transportation costs. Moreover, political interests play a major role too, as regional tensions are strong. Regional cooperation could mitigate tensions around security issues and foster peace. This is especially relevant for contemporary South Korea, as any regional endeavor that includes North Korea forms a channel of dialogue and a possible area of leverage. Thus, regional cooperation in the Tumen River area could unleash great economic and political benefits for the Northeast Asian countries, which is why various actors have also issued subsequent large-scale development plans. These range from former vice-general secretary of China’s Jilin Province Ding Shicheng’s dream of building a “second Hong Kong, Singapore or Rotterdam in the Small Golden Delta” in 1992, to Park Geun-Hye’s Eurasia Initiative in 2014, the China’s One-Road-One-Belt Initiative, to another Korean proposal to build an international city at the mouth of the Tumen River in 2014. 1) The Tumen River region forms the core of the Greater Tumen Initiative (GTI), Northeast Asia’s only “intergovernmental cooperation mechanism” with China, Russia, South Korea and Mongolia as its members. 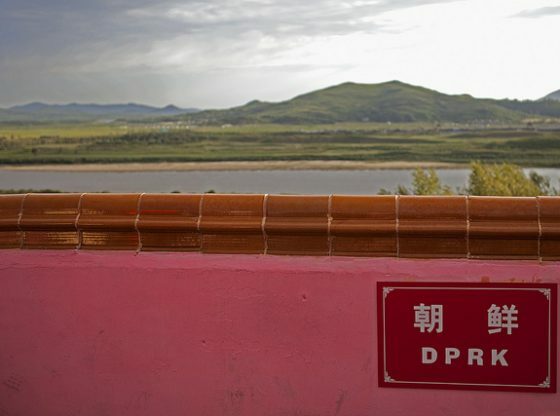 Although its predecessor TRADP (Tumen River Area Development Program) was not very successful according to most observers, things changed after it was relabeled and reorganized as GTI in 2005. Since 2009, multilateral forums have been regularly held in 6 priority sectors (transport, trade and investment, tourism, agriculture, energy and environment), various suborganizations (most importantly, the Northeast Asia Export Import Bank Association as a possible financing source) have been created, and various research and networking projects have been implemented. 2) Other multilateral initiatives focus on the development of the Tumen Region, including those launched by China and Russia. Most notably, China’s Changjitu-project of 2009 (as a pilot project of its “Revive the Northeast” strategy, 振兴东北) and Russia’s 2013 “Program for the Socio-economic development of the Far East and Baikal.” While project implementation appears to be stagnant on the Russian side, the Changjitu project has already yielded considerable tangible results in terms of “hard” projects. According to the author’s data, at least 13 large-scale road, railway and shipping lane projects were completed between 2009 and 2015. Thus, along the “Greater Tumen Corridors,” originally devised through the GTI, a large number of physical links have been created. Even if they don’t carry the label of GTI anymore – but rather “Chinese” labels, as they serve “Chinese” national goals – these links cross national borders many times. 3) Finally, private-sector involvement is also rising, albeit the scale is still lower than for other regions. For instance, many South Korean and Japanese companies are investing in the Chinese and Russian side of the Tumen River region. Aggregate data about trade and investment in Jilin Prefecture and in the Russian Far East indicate a similar temporal sequence. One such example is the POSCO Hyundai International Logistics Complex in Hunchun (Jilin, China), close to the three Tumen river border triangle, whose first stage opened in 2013. As road and railway links between Hunchun and the ports of Rajin (North Korea) and Zarubino (Russia) are being built and a possible opening of North Korea is still an option, POSCO and Hyundai have secured an excellent strategic position. It is debatable to what extent these three observations are connected, but at theh minimum, they show that regional integration is proceeding, albeit in a highly discontinuous way. This is remarkable, as the Tumen River region is far from being a textbook example of regional integration theories. The economic potential may be high, but political tensions between the relevant states are strong and volatile. Furthermore, compared to the similar Greater Mekong sub-region with its support of the ADB (Asia Development Bank), there is no multilateral development bank financing regional projects in the Tumen River region. However, this might change due to the establishment of the “Northeast Asia Export Import Bank Association” in 2013 under the frame of GTI and the 2014 launch of the AIIB (Asian Infrastructure Investment Bank). Most importantly, the Tumen River region is influenced by externalities to a much higher degree than other regions. This includes disparate events like the Ukraine crisis, which ultimately re-shifted Russian attention to the Far East, and North Korea. On the one hand, the development of infrastructure around North Korea’s Rajin port (and also Chŏngjin port) has been at the centre of discussions between China, Russia, and South Korea throughout 2015 and early 2016. On the other hand, North Korea conducted nuclear tests in 2006, 2009, 2013 and twice in 2016 – strangely at the same time when the three observations of regional integration explained above were progressing most. While the tests in 2006, 2009 and 2013 apparently had little impact upon integration, the situation in 2016 seems different, as the two tests led to an apparent stall in the GTI’s conversion to an independent regional organization, despite subsequent denials by the South Korean government. Attention has also shifted from Rajin port to Zarubino port in Russia, but that’s another story. In conclusion, the Tumen River region remains an area worth watching. Similar to a fir tree on a windy mountain ridge, regional integration might not grow as fast as in other areas, but it shows a remarkable resilience. Although it is influenced by international developments more than other regions, it continues to surprise us with news every day. Let’s hope that the wind will turn again soon. 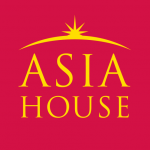 Anselm Huppenbauer is a PhD candidate in the Graduate School of East Asian Studies at Freie Universität Berlin. He is currently an intern at the Greater Tumen Initiative while he conducts fieldwork for his research on regionalism and regionalization in the Tumen River region. Image credit: CC by Roman Harak/Flickr.